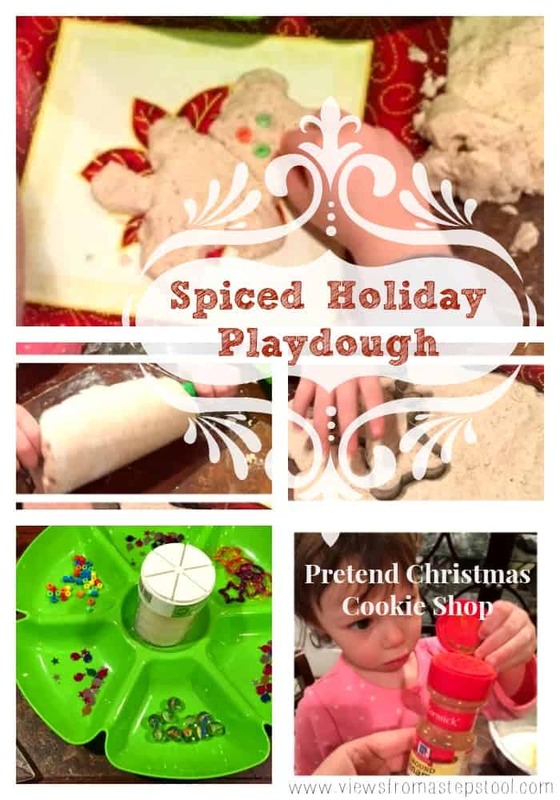 I can’t believe I actually attempted another gluten-free playdough after our very wet pumpkin playdough experiment…but I did and actually succeeded! 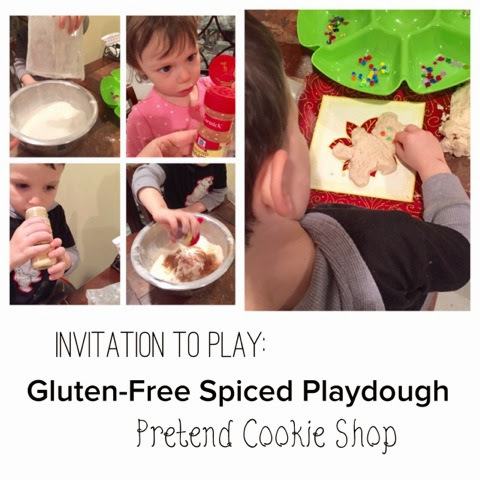 I wanted to set up a pretend gingerbread cookie making station for the kiddos today. We had some cold, wet weather and I was not up for an outing today so tried to keep them occupied with tried and true playdough! 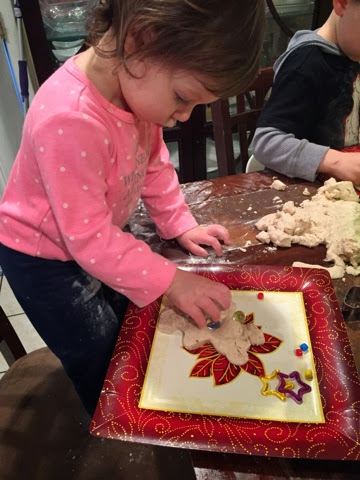 With Ava’s recent dietary changes we are no longer making traditional flour-based playdough (a major challenge for us!). Although there are so many gluten-free flour substitutes they are incredibly expensive compared to a 5 lb bag of all-purpose baking flour. Therefore, I’ve had to get a bit inventive. 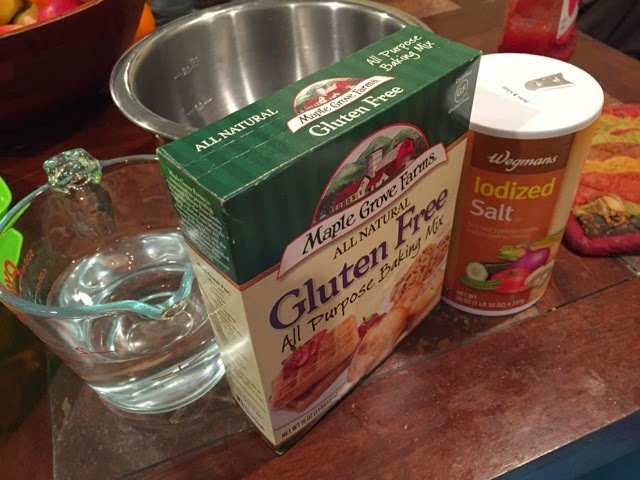 We were given a gluten-free baking mix that expired before my daughter was even born…so I figured that would be a good place to start! 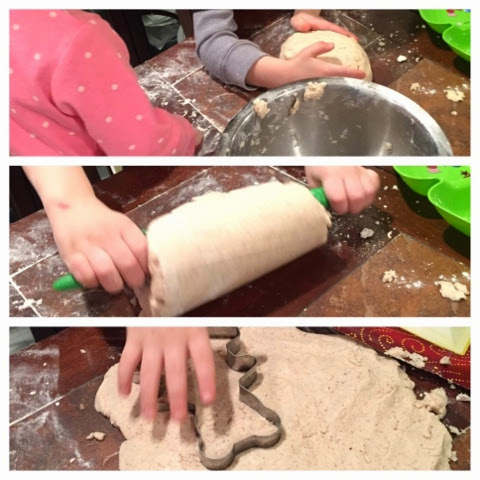 To the baking mix, I added some salt and enough water to make a dough consistency. My kids love pouring and stirring. Today we added some cinnamon, nutmeg and ginger to our mix for an increased sensory experience. 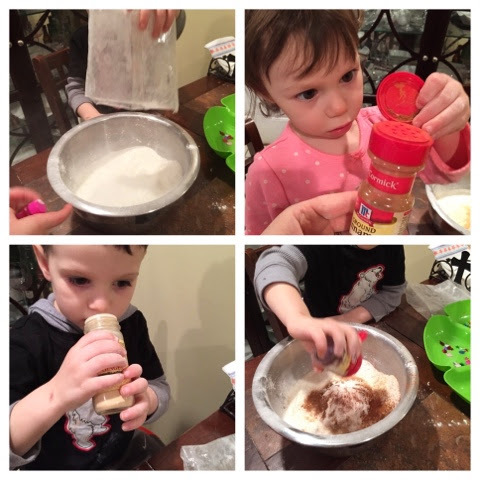 They loved smelling each spice, cinnamon was a definite favorite…ginger not so much. 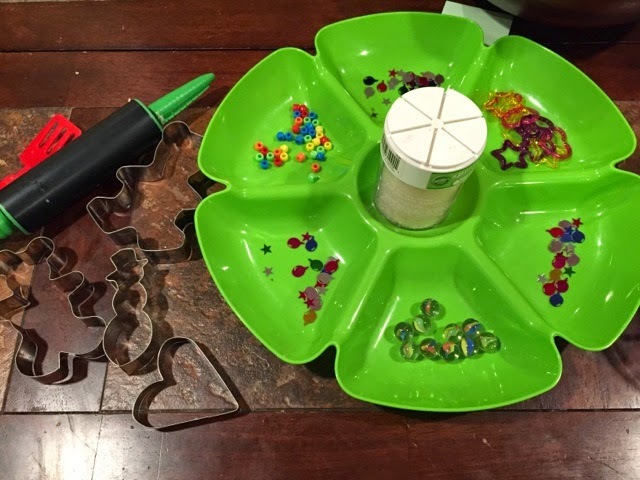 Once we had our playdough made, I set out a tray with various beads, marbles, etc as decorations. And of course, what’s a cookie without some sprinkles?! I like to pick these up after holidays when they are on clearance. 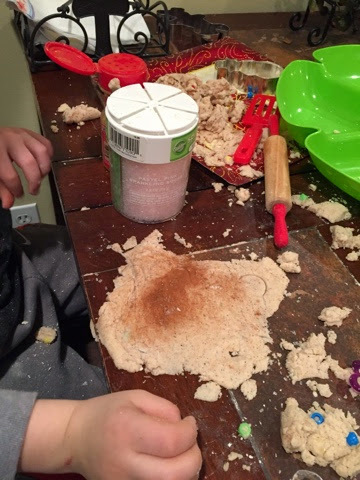 We use them as glitter when making these types of projects, and it is much easier to clean up! 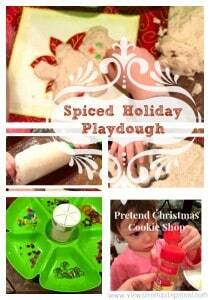 I added some ‘gingerbread bear’, snowman and heart cookie cutters along with rolling pins. 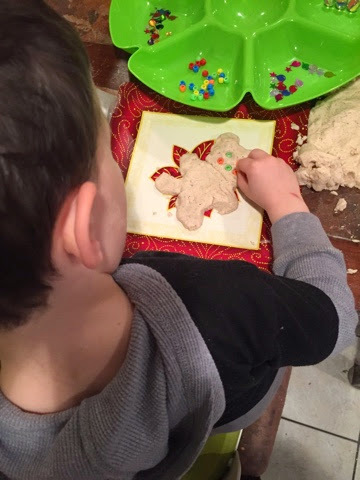 The kids got to work rolling and cutting their ‘cookies’ and decorating them! This kept them busy for such a long time I actually got to do the dishes, clean the kitchen, and get dinner made!! We ended up with a cinnamon-scented kitchen and some delicious looking ‘cookies’. I love watching them create! For more Holiday inspiration, check out our advent calendar with acts of kindness or my Christmas board on Pinterest!